Before every annual Budget, the real estate sector trots out a highly optimistic (and unrealistic) wish list to the Finance Ministry. Whether the industry actually expects the upcoming Budget to cure all its woes with a wave of its magic wand is beside the point. Unrealistic expectations — many completely outside the purview of the Finance Ministry — have become the norm. Single-window clearance, industry status and hiked tax exemptions limits which will miraculously revive demand for properties have become the usual suspects in such wish lists. Let’s be rational in our expectations from an interim budget which is announced shortly before general elections. Though the larger ‘acchhe din’ premise is debated to the present day, the first Union Budget under the Modi government in 2014 was certainly a harbinger of change for buyers and builders. Taxpayers' exemption limit was increased after a decade of forlorn waiting. During the government’s entire term, affordable housing got the maximum attention via infrastructure status for this specific segment, and various other sops and incentives. The subsequent budgets were concoctions of positives, negatives and non-events for real estate. 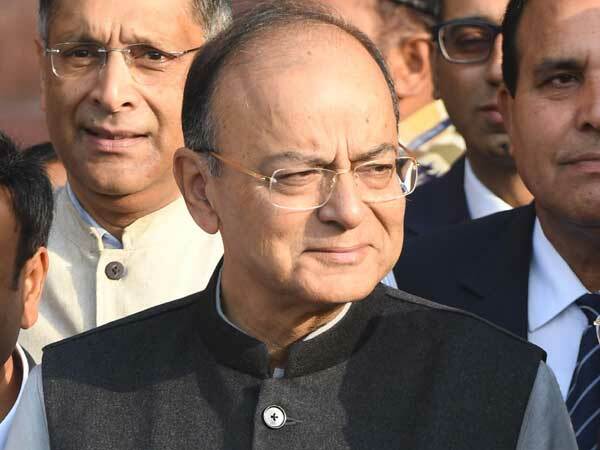 While outlining what the real estate sector can realistically expect from Union Budget 2019-20, the fact that this is an interim budget cannot be wished away. In such budgets, the incumbent government usually tries to make a strong electoral pitch by offering tax sops or promises of welfare schemes. Previous governments have candidly done the same, but all have to follow a model code limit. This year, we must temper our optimism with realism and not expect major boosts for the real estate sector in the Interim Budget. That said, there are certainly electoral parameters to consider — for the common man (vote-bearing homebuyer) tax reliefs will count. For industry players (major contributors to election campaigns), alleviation of the severe liquidity crisis is high on the wish list. *Increase in the deduction limit under Section 80C from the current Rs 1.5 lakh a year. The fact that the exemption limit (under Section 80C) was raised last in 2014 after a decade-long hiatus raises high expectations that this route may be revisited in this budget. It is certainly an assured crowd-pleaser, which matters in the electoral year. However, there's no getting around the fact that raising exemption limits comes at a concurrent cost to the exchequer. A fine balancing act is definitely in order here. For the industry at large, one of the most critical steps that this budget can take is to increase the finance limits for NBFCs. NBFCs constituted more than 50% developer finance in 2018 as against 30% in 2011. The NBFC crisis post the IL&FS default in September 2018 spelt doom for real estate players, and the ensuing fund crunch resulted in stalled projects all around. The government must revive the sector by pumping in more money into NBFCs who lend to developers. The current government’s undisputed focus on infrastructure development should spell good news for the real estate sector. Though generous funds were allocated for various highways projects in the previous budget, the real estate industry depends on faster road building because improved connectivity is the lifeblood of the industry. Apart from that, the creation of more employment in the infrastructure sector can redeem the incumbent Government's well-documented shortfall on that front — again, an important electoral consideration. As per Ministry of Housing Affairs data, the total estimated investment under PMAY as on January 2019 is INR 3.87 lakh crore, of which approx. 27% has been sanctioned by the Central government while only 32% of the sanctioned amount has been released so far. Evidently, despite the Government's concerted efforts to gain ground on its Housing for All promise, the deficit is too large to ignore. For this year's budget, making sweeping funding announcements will not suffice. These must be backed by a convincing game plan to ensure that the allocated funds are utilised as specified, within a specified deadline. If not, such announcements will earn some half-hearted table claps but no real sentiment traction — and sentiment is everything in an election year. These are rational expectations. However, at the end of the day, the upcoming budget may focus squarely on wooing voters collectively rather than boosting specific industries. In other words, let's be realistic and not overly optimistic.